Like to get some pattern ideas for fat quarters other than the yellow brick road. 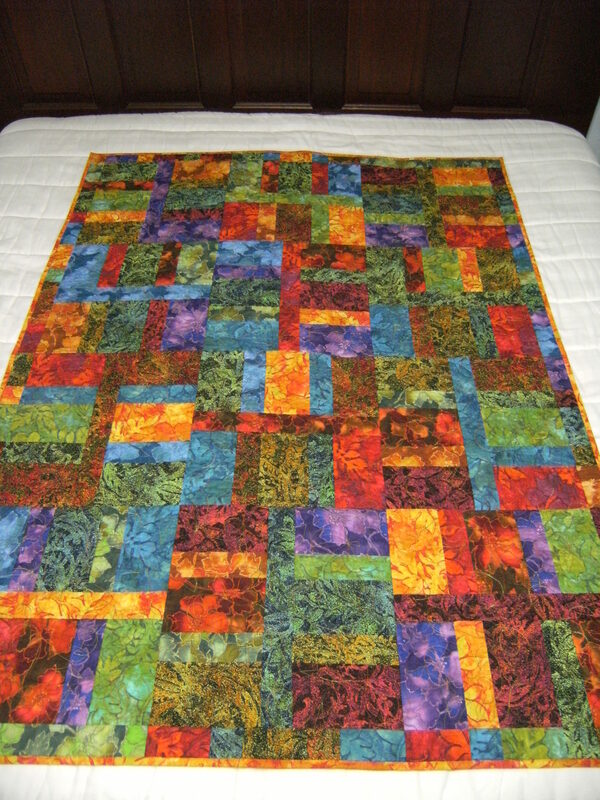 I would like to make like a twin or full size quilt with about 20 fat 1/4s from the same line of fabrics. Any suggestions? Thanks for your input. i just finished an X and O quilt. basically just turned those fat quarters into charm squares and added some solid for background. If you make the square in a square blocks like she suggests, none of your squares will have a point when you sew your blocks together. I guess if they're all done like that, it will at least be consistant. 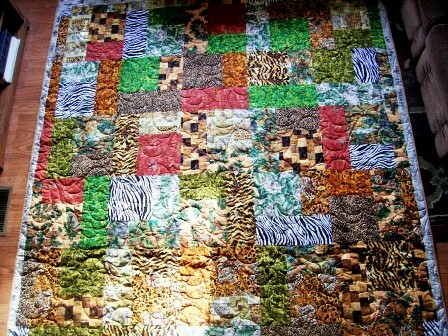 What about a puzzle type quilt? Let me see if I can find pictures of any of mine. These are lap sized, but it would be easy enough to make them larger. If you don't have a pattern to buy, try a D9P. I have seen some stunning quilt done especially if you careful with the placement of the same accent fabric in the center square. Good Luck !! I was just thinking about that. I would make the white fabric bigger, at least 8.5"" to compensate the overlap which would give you points. I may be off with the measurement. Dina, did you have a pattern for those darling puzzle quilts? I love the effect! I agree with the turning 20 quilt. Quilting in the Rain is beautiful and I am printing off a copy right now. I need a pattern to make a gift for my little sis and have some gorgeous FQ that will work like a charm, no pun intended; but hey it sounds good. I'm 72, how do I go about turning 20? 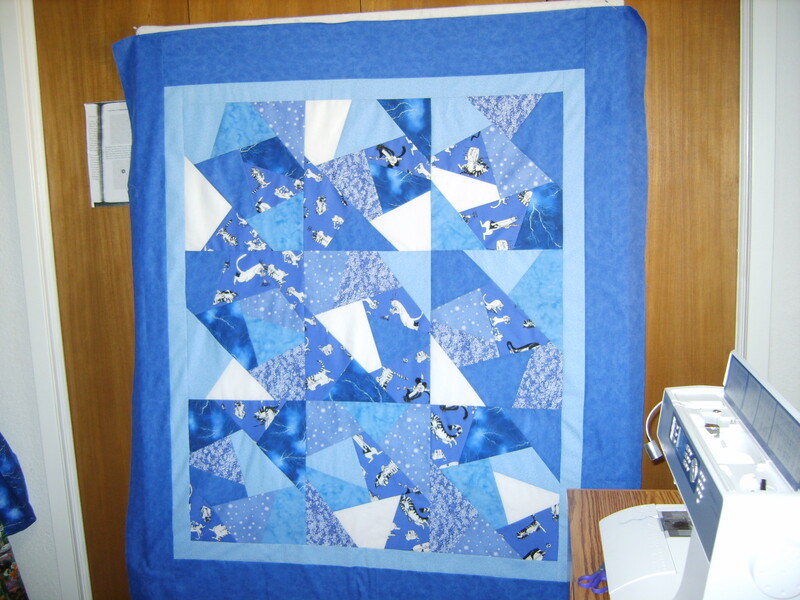 A lot of the quilts from Anka's Treasures indicate using fat quarters. I've made many of them. I just looked at the Quilting in the Rain site and yes. This does look fast as well as beautiful. 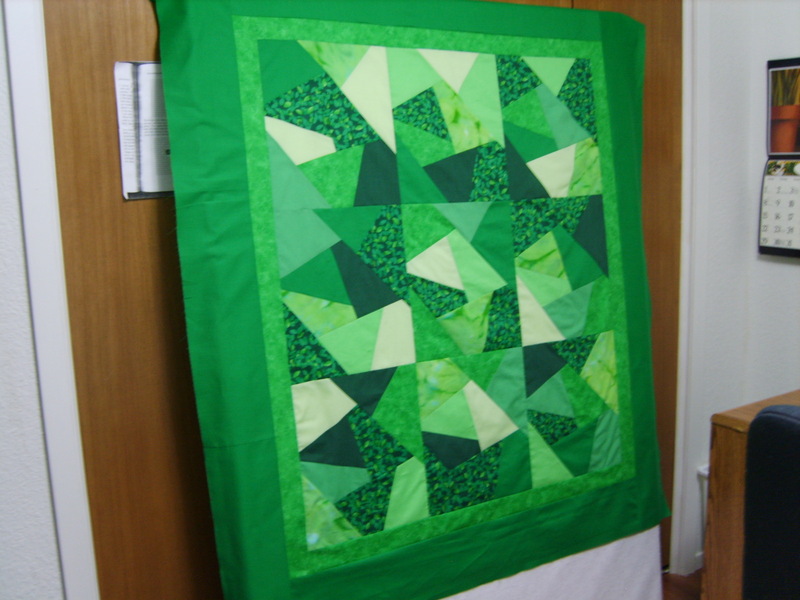 It would also be easy to quilt free motion, motif or just what every you wish. I have piles of FQ's and should give this a try just to clean out the stash.... a little. I like Turning 20 but found that it got bigger than I expected. I did it with 16 and found it more manageable for what I was trying to accomplish. All depends on the end size you wish. It is quick. Here is my version of this pattern. It really went together fast. 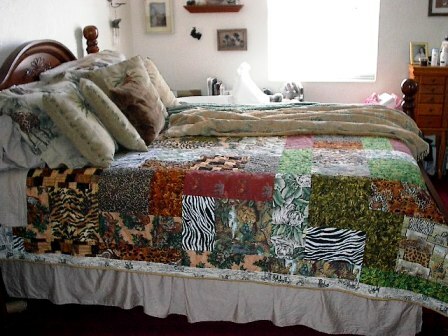 Emilia's Nana, she should have the pic of your quilt up to advertise her pattern -- it's lovely! A good fat quarter pattern is trouble with tribbles. the Saduko quilt pattern is perfect for fat quarters. Have fun. Don't waste money on pattern, just get an answer puzzle from a newspaper or magazine and have fun.